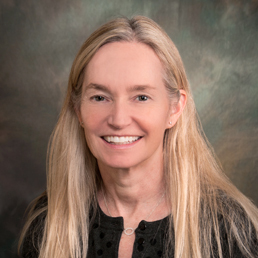 Dr. Cynthia Fairfax is a board certified urologist and a founding member of Idaho Urologic Institute. She is a graduate of Duke University, and attended medical school at Oregon Health Sciences University in Portland, Oregon. She completed two years of residency at the University of Utah in general surgery, followed by completion of her urology residency at OHSU. She actively participates in research studies at Idaho Urologic Institute. Dr. Fairfax sees male and female patients and has special interest in the urologic needs of children; laparoscopic treatment of kidney abnormalities; vasectomy; treatment of urologic cancer; multimodal treatment of urinary incontinence; complex urinary infection issues and treatment of stone disease. She also is experienced in robotic surgery. Dr. Fairfax enjoys the outdoors and is an avid skier, kayaker, and runner. Most importantly, she shares her life with two golden retrievers who are exceptionally handsome and intelligent. Dr. Fairfax is a diplomate of the American Board of Urology and is a member of the Idaho Medical Association, the Ada County Medical Society, American Urological Association, and the Society of Women in Urology. She has medical privileges at Saint Alphonsus Regional Medical Centers, Boise and Nampa; St. Luke’s Regional Medical Centers, Boise and Meridian; Idaho Elks Rehabilitation Hospital; the Veteran’s Administration Medical Center in Boise; Southwest Advanced Care Hospital; and Vibra Hospital of Boise.